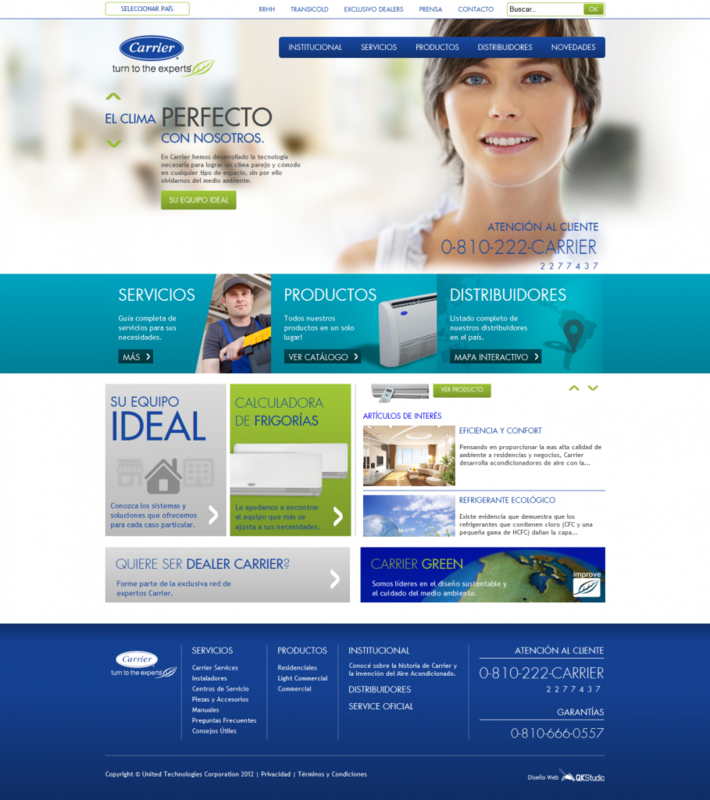 Carrier, the leader in air conditioning and refrigeration, relaunches its website with a comprehensive renovation and dynamic style, focusing on the easy access of information to the user. The new site takes a simple approach, rich in content and easy navigation, allowing users to quickly see all the brand marketed products, obtaining clearer and more detailed information thereof. In turn, it has become available to the users, each product manuals for download. Another innovation that provides the new website is an easy to use tool that allows the user to calculate and determine the proper air conditioning for each room of the home and find the dealer closest to where you live. Notably, the platform also has a specific interface for mobile devices. The world’s leader in heating, air-conditioning and refrigeration solutions. Carrier is a part of UTC Climate, Controls & Security, a unit of United Technologies Corp., a leading provider to the aerospace and building systems industries worldwide.